America’s #1 choice is to buy from a Veteran owned business and we have made it easy for you to find them. Background. All military branches have an established communication means such as ALNAV or ALMAR messages that are designed to quickly distribute and disseminate information to all service members to keep them current and abreast on need to know information. Such as promotion announcements to special activities and requires the leadership to ensure such communications are delivered to the lowest ranking service member. Opps4vets is adopting this communication within our community and will issue ALVET messages. Purpose. To promulgate the use of ALVET messages within the opps4vets community. Use of the ALVET communications will be initiated when an opps4vets member has a verifiable request that deserve the attention of fellow opps4vets members. The ALVET messages will be numbered sequentially starting with the number 1 and year i.e. 1-17 and restarts at the beginning of each year i.e. 1-18, 1-19, etc. Action. The opps4vets team will accept all requests and verify each request received by an opps4vets member. Such requests will be submitted in a Marine 5 paragraph order known as SMEAC. The opps4vets member will be expected to detail a request with the Situation, Mission, Execution, Administration & Logistics, Communication & Signal. Once the 5 paragraph order is received by the opps4vets team a determination will be made on the integrity of the request and if approved an ALVET will be distributed for widest dissemination to the opps4vets community. 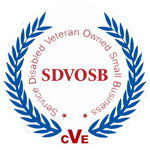 Companies are actively seeking out Veteran Owned Businesses and Skilled Veterans for potential employment. We will use your information to match you with opportunity.